I was born exactly a year after Apollo 11 landed on the Moon. Being a Cancerian, I am ruled by the Moon. But I am not anything like the Moon. I am Fire! I rise from the ashes, powerfully. I am a change maker. That is what I do for a living. I make change happen. By taking sales from zero to one and then from one to two. I don’t force people to think outside the box, I make them abandon the box. I love being around people and people love being around me. Perhaps this is the single biggest fact that gives me such great insight about people and helps me understand them well. I love sales and I am a growth hacker. I hack growth with my machete. You can always catch up with me when I organise #CoffeeWithSalma. Watch out for when it comes to your city. 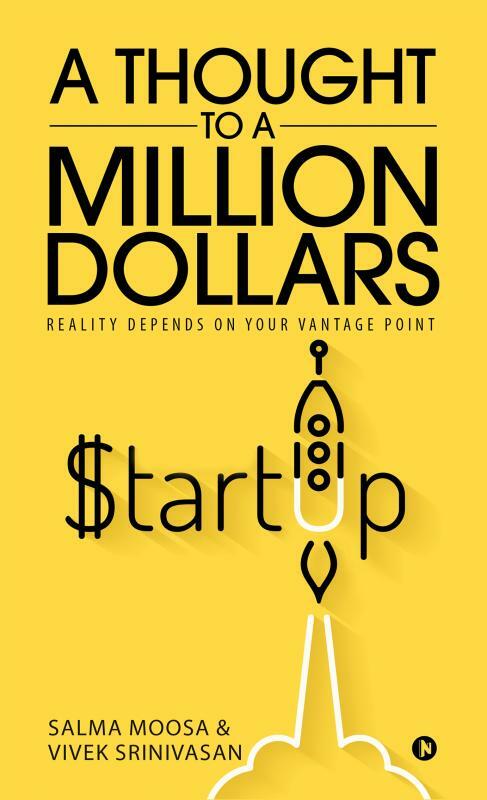 A Thought to a Million Dollars is a book that chronicles the formative years of Startups Club. Both Vivek and I started writing this book to give entrepreneurs a more deeper look into the up’s and down’s on entrepreneurship. 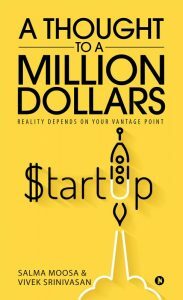 Although it describes a short journey of 3 years, it describes the time in vivid detail and we hope that this helps many early entrepreneurs understand the challenges that lie ahead of them. Its out now! Pick a store of your choice from the adjoined slider. 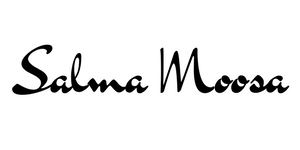 Salma is an expert in the area of marketing, community building and business development. She has been an entrepreneur her entire life and has dabbled in many businesses in the past 27 years. She brings this experience to bear to help startups across India. Salma is the co-founder and the engine behind Startups Club. She founded Startups Club along with Vivek Srinivasan in 2013 and has since been engaged in building and growing the business. Startups Club today is spread across India and engages with entrepreneurs across the country. This would have been impossible without the energy that Salma imbues everyday into Startups Club. 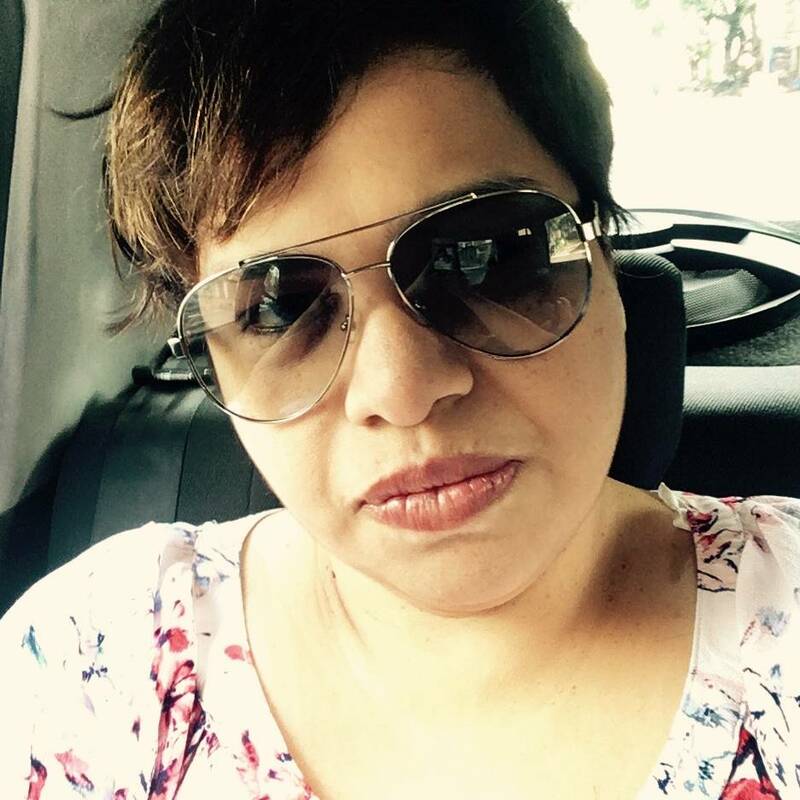 Before Startups Club, she ran a consulting firm engaged in undertaking turnkey projects for small and medium scale enterprises. During the 7 years that she ran this business she had the privilege of working in multiple industries including; education, healthcare, IT, hospitality, internet and manufacturing. She has also led ventures engaged in education, training and export-import. She started her entrepreneurial journey with her father. They ran a company that specialised in commercialising intellectual property. Her father was serial inventor and Salma was engaged in patenting the inventions and selling the patents. The business was spread across India and Singapore.